Cannon County High School students A.J. 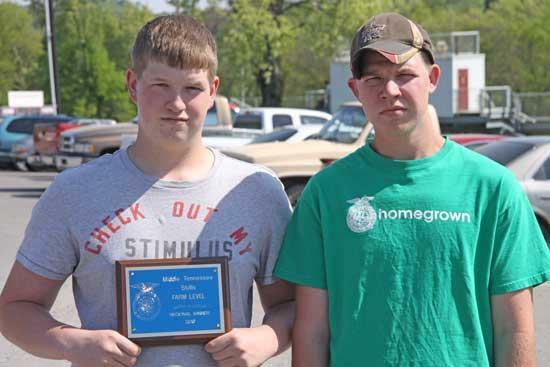 Howell, left, and Blake Hurley received the Middle Tennessee Skills award Tuesday night at the Future Farmers of America MT Awards Banquet held Tuesday night at MTSU. The team of Howell and Hurley were the 2010 Regional Winner of the Land Measuring Contest in the Farm Level category. I think some better Tee shirts should have been warn for the picture.